Majed Salama Almehmadi is a faculty member at the Department of Hydrographic Survey at the Faculty of Maritime Studies at King Abdulaziz University. Majed received an M.Eng degree in Geodesy and Geomatics Engineering (ocean mapping option) from the University of New Brunswick and a B.Sc. in Marine Physics from King Abdulaziz University. He is currently a Ph.D. Candidate in Marine Geology and Geophysics within Ocean and Earth Science, National Oceanography Centre Southampton at the University of Southampton. Whitney Anderson is the Chief of the Bathymetry Branch at the National Geospatial Intelligence Agency’s Maritime Safety Office, in Washington, DC, and has worked for NGA since 2013. Before that, she spent ten years in the field, as a Marine Archaeologist, surveyor, and Hydrographer, working for the National Park Service, NOAA, and private industry. Sunil Bisnath is an Associate Professor in the Department of Earth and Space Science and Engineering at York University in Toronto, Canada. His research interests include precise GNSS measurement processing algorithms, and positioning and navigation applications. Previous to York University, Professor Bisnath held the positions of geodesist at the Harvard-Smithsonian Center for Astrophysics in Boston, Massachusetts and assistant research scientist at the University of Southern Mississippi, NASA Stennis Space Center, Mississippi. He holds an Honours B.Sc. and M.Sc. in Surveying Science from the University of Toronto and a Ph.D. in Geodesy and Geomatics Engineering from the University of New Brunswick. Since graduating from the B.C.I.T. survey programme in 1986 Ted has led a varied work life. He has been a party chief for various BC Lands Surveyors along with being a surveyor for heavy construction and mining operations. For 12 years Ted was employed by local British Columbia dredging contractors as a hydrographic surveyor. His duties during this time included the installation and support of dredging navigation systems. The past 6 years have been spent with PSPC in the Geomatics/Hydrographics department in the role of Marine Survey Supervisor. He recently was promoted to Lead Hydrographer. Duties during this time have included testing and implementation of processing software, installation of hydrographic systems on survey vessels, and training in these systems. Ted also served as the Technical Authority during the design/build phase of survey vessel construction and refit. Dr. Calder graduated in with an M.Eng (Merit) and Ph.D in Electrical and Electronic Engineering in 1994 and 1997 respectively, from Heriot-Watt University, Scotland. His doctoral research was in Bayesian statistical methods applied to processing of sidescan sonar and other data sources. He joined the Center for Coastal and Ocean Mapping & NOAA-UNH Joint Hydrographic Center at the University of New Hampshire as a founding member in 2000, where his research has focused mainly on understanding, utilizing and portraying the uncertainty inherent in bathymetric (and other) data, and in efficient semi-automatic processing of high density multibeam echosounder data, and associated technologies. He is an Associate Research Professor, Associate Director of CCOM, the Chair of the Open Navigation Surface Working Group, and a past Associate Editor of IEEE Journal of Oceanic Engineering. Bruce Calderbank is a Fellow of the Royal Institution of Chartered Surveyors (FRICS), a CLS, a Canadian Certified Hydrographer (CH) Level 1, and a Albertan Professional Engineer (P. Eng.). He has carried out consulting assignments as the Client Navigation Representative for over 30 companies, while supervising a variety of contractors over a period of 38 years. Past legal consultancy assignments have included providing two Expert Opinion Reports, and delineated an international offshore boundary. He has written many technical articles but one of his main accomplishments was being the main co-author and editor in chief of the paralegal text, “Canada’s Offshore: Jurisdiction, Rights, and Management”. Dr. Ian Church is an Assistant Professor in the Department of Geodesy and Geomatics Engineering at the University of New Brunswick, where he leads the Ocean Mapping Group. Prior to starting at UNB in 2016, he was an Assistant Professor with the Hydrographic Science Research Center at the University of Southern Mississippi. His current research interested include hydrodynamic numerical ocean modelling, marine habitat mapping, acoustic water column interpretation, and processing crowdsourced bathymetry data. Jose Cordero graduated from the Spanish Naval Academy in 2001, completing in 2006 his OHI CAT-A surveyor degree in the Spanish Hydrographic Institute. Since then, he has been mapping aboard different hydrographic and oceanographic ships, surveying blue and shallow waters. He also completed the circumnavigation scientific expedition “Malaspina 2010” aboard the research vessel Hesperides to gauge the impact of global change on the ocean. Currently he is a M.S. student in Ocean Engineering/Ocean Mapping at CCOM-UNH. I'm an hydrographer serving Canadians for 32 year in the Canadian Hydrographic Service and responsible for the acquisition and the management of all bathymetric and hydrographic data in the Québec region. I'm greatly interested in the development in implementation of new tools and processes that will change the way hydrography is done in the era of technologies and partnership, and make Canadian water the safest in the world for the benefit of mariners and the environment. Karen Cove is a professional engineer and the Product Manager for the Bathy DataBASE suite of software applications at CARIS. She earned her BSc. Eng. (2003) and MSc. Eng. (2005) in the Department of Geodesy and Geomatics at the University of New Brunswick, Canada. Graduated from the University of Victoria with a B.Sc. in Chemistry/Microbiology and Biochemistry. Worked in environmental sciences at the Institute of Ocean Sciences Marine Environment Quality section until 2012. Have worked the past 4 years as a multidisciplinary hydrographer with the Canadian Hydrographic Service, including two years with the Pacific Region Tides Currents and Water Levels section. Recently been assigned new duties updating the Pacific Region HyVSEP (hydrographic vertical separation surface). Chris grew up in Ontario and started surveying after attending Queens University in 1988. He returned to school to take additional surveying courses at the University of Toronto and then moved to Vancouver in 1994 where he joined Underhill & Underhill. Chris received his Canada Lands Surveying commission in 1998 and his British Columbia Land Surveying commission in 2004. He became a partner with Underhill in 2005 and moved to Kamloops shortly thereafter. His diverse survey background has taken him to within 600 miles of the North Pole, 1500m underground in a number of mines, and across Ontario, British Columbia, Yukon, Northwest Territories, Nunavut, Alaska, Alberta, Colorado and Puerto Rico conducting all kinds of surveys. He is the recipient of the national 2017 David Thompson Award for the use of an Innovative method in a survey. Outside of work, he divides his schedule between camping or skiing with his family and volunteering with the Aurora Rotary Club and sits on the Board of Directors for the Kamloops Food Bank. Chris is married to his wife Angela and together have one very busy 8 year old daughter. Julien Desrochers has been working as a Hydrographic surveyor for the past two years at CIDCO a research center in marine geomatics. During his time at CIDCO he has worked on many different projets : development of HydroBall buoy, hydrographic training, SAT for survey vessels and many MBES surveys.He holds a bachelor’s degree in Geomatics from Laval University in Quebec and has done a course in Hydrographic Surveying approved by the FIG/IHO/ICA in cat.B from CIDCO in Rimouski. Brian Donahue has worked with the Canadian Geodetic Survey, Natural Resources Canada for the past 20 years. He is currently the team leader of the Geodetic Integrated Services Unit as well as the chair of the Canadian Geodetic Reference System Committee (CGRSC). He received his BSc. Eng. in Surveying Engineering from the University of New Brunswick. Mr. Donaldson is currently the Chief Hydrographer and Survey Operations Coordinator for the Maritime Systems Division of Leidos, with experience in hydrographic survey, geographic information systems, and hydrographic survey systems. Mr. Donaldson is a certified hydrographer (#241) and has served on the National Society of Professional Surveyors hydrographers certification board since 2015. Mr. Donaldson started conducting hydrographic surveys in 1999 and recently led the installation, testing and survey effort for autonomous bathymetric surveys as part of the U.S. Navy’s Gulf of Mexico Unmanned Systems Operational Demonstration (GOMOD) and the U.S. Navy’s Advanced Naval Technology Exercise (ANTX 2017). He received a B.S. in biology from Lenoir-Rhyne University and an M.S. in marine biology from the University of North Carolina at Wilmington. Paul Egesborg graduated from Laval University in 1989 with a M. Sc. in mapping and land information. He currently works for the Surveyor General Branch of Natural Resources Canada where he manages the Cadastral Survey Information unit. He serves since 2008 as a Canadian expert on the Canadian Advisory Committee to the ISO TC211 where he provides advice and consultation on various land administration standards. He holds a Quebec land surveyor commission. Dr. Viktor Feygels specializes in the theoretical and practical elements of lidar design and has over 48 years of experience at different corporations ("Leninetc" Scientific & Industrial Corp. (Russia), EG&G, NASA), including 7 years as a consultant with Teledyne Optech and 14 more years as a Teledyne Optech employee. Dr. Viktor Feygels received his M.S. degree in quantum electronics from St. Petersburg State University of Information Technologies, Mechanics & Optics (SPUITMO), a M.S. in computer science from St. Petersburg Aircraft Instrument Making Institute, and a Ph.D. degree in quantum electronics & oceanography from SPUITMO, in 1970, 1975 and 1991, respectively. His areas of expertise are lidar bathymetry and measurement of the optical properties of water using lidar return signal, receiver optimization theory for lidar systems, underwater object detection theory, and underwater vision systems with matrix receivers. Dr. Feygels is currently the Chief Scientist at Teledyne Optech's Kiln facilities, and has been heavily involved in the theoretical and practical design of the CZMIL (Coastal Zone Mapping and Imaging Lidar) system. He is the author of more than 75 scientific papers, the holder of 10 patents, and the winner of the 532 Award from JALBTCX (Joint Airborne Lidar Bathymetry Technical Center of Expertise). Based in Bristol, UK, Richard is a partner in TCarta and responsible for company operations and management. Richard has been involved in the geospatial industry for more than 16 years. He has an MSc in Geographical Information Science and significant world-wide experience in offshore, airborne, land and satellite based surveys and mapping. Richard is a Project Management Professional (PMP) and is experienced in project design, workflow development and lean management principles. He is a Fellow of the Royal Geographical Society (FRGS) and a Chartered Geographer (CGeog GIS)." Burns Foster is the Product Manager for CARIS HIPS and SIPS. Burns has worked for Teledyne CARIS since 2008, originally providing support and training for processing-related products. He holds a Bachelor of Science in Engineering degree (Geomatics) from the University of New Brunswick. Leah George-Wilson is a member of Tsleil-Waututh Nation (TWN) located in North Vancouver. In 2001, she served as elected Chief for 3 terms for the TWN and was the first woman to hold that position. She has been an elected member of the Lands Advisory Board since 2008 and was the first woman to serve on the board. She is also has an elected Co-Chair at the FN Summit since 2004. Leah holds a BA and a JD and has been called to the BC bar since 2015. She is currently an associate at Miller Titerle + Co in Vancouver. She lives in the TWN community in North Vancouver. I graduated from Laval University in 1995.I am married with 2 children. I am a Quebec land surveyor and a Canada land surveyor. I am with surveyor General Branch since 1997. Victoria-born Barry Gough is a prize-winning authority of world maritime history. His lifelong mission has been to embrace the rich history of Canadian seas, lakes and rivers as a means of revealing unique features of Canada's past and, in addition, disclosing its international importance. Author of numerous acclaimed histories of Pacific waters, of Great Lakes naval history, and of Northwest Passage attempts, he is besides official historian of Canada's famed tribal class destroyer HMCS Haida: he wrote the book that saved the ship, now lying in Hamilton, Ontario. He studied Imperial and Naval History at Kings College London University, and was awarded the PhD and DLit degrees for significant contributions to learning. He is a Past President of the Canadian Nautical Research Society and is on the Editorial Board of its journal The Northern Mariner. His book Pax Britannica: Ruling the Waves and Keeping the Peace before Armageddon (Palgrave Macmillan 2014) won the coveted British Maritime Foundations Mountbatten Prize. His acclaimed biographies of two fur traders and commercial strategists --Sir Alexander and Peter Pond -- opened new vistas in Northwest Company history. He takes particular pride in his artfully crafted published tale of Juan de Fuca, George Vancouver and Alcala Galiano, which appeared as Juan de Fuca's Strait: Voyages in the Waterway of Forgotten Dreams (Harbour Publishing, 2012/pb 2013) His classic British Columbia maritime study is The Royal Navy and the Northwest Coast of North America, 1810-1914 (UBC Press, 1971) which, after a complete overhaul, was published as Britannia's Navy on the West Coast, 1812-1914 (Heritage House, 2016). He has lectured extensively ashore and afloat, and is Professor Emeritus of History, Wilfrid Laurier University, Waterloo. He resides in Victoria. An ally of marine artists, hydrographers, anthropologists, and students of cross-cultural encounters he is known for his story-telling capacities and the authenticity of his research. He is Hon. President, British Columbia Historical Federation. Arne Hestnes graduated with a Masters degree, in algorithm design for machine learning, at the Norwegian University of Science and Technology. As a former NATO captain he ran an ESRI and ERDAS based survey unit during the war in the Balkans. 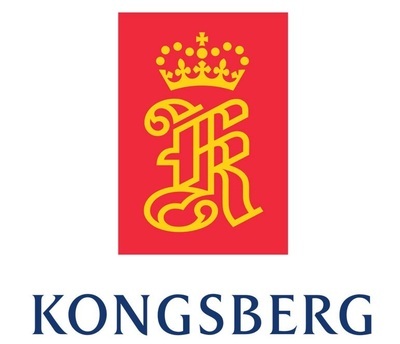 The focus now is on integrating Kongsberg sensors, prioritizing multi and single beam echo sounders, in an open Cloud environment, KognifAi. Company University of Southern Mississippi Bio Dr. Anand Hiroji is an assistant professor at the Hydrographic science research center, University of Southern Mississippi. He has a Ph.D. in ocean mapping from the University of New Brunswick, Canada. His research interest is in reducing ambiguities in seafloor classification from multibeam backscatter data. Dr. Hiroji holds MEng (Geodesy and Geomatics, 2011 UNB) and BEng (in Civil engineering , 2005 India) degrees and he has extensive offshore survey work experience. I began research in remote sensing at Simon Fraser University in B.C. studying urban microclimates during my undergraduate degree. In 2016, I began my M.Sc. in Satellite Derived Bathymetry in uOttawa, researching methods to derive bathymetry without the need for in-situ training data. Concurrently, I began working for CHS as a remote sensing specialist, developing and improving SDB methods for applications in charting of the Canadian Arctic. John Hughes Clarke is a Professor of Ocean Engineering, affiliated with both the Mechanical Engineering and Earth Sciences Departments at UNH. He specializes in the optimal configuration of integrated multibeam sonar systems. His underlying interest is in ways to resolve active seabed sediment transport. Joe is a Canada Lands Surveyor and a Professional Survey Engineer. He has worked in the survey industry, both private and government sectors, for 40 years with 35+ years of that spent in Yukon. Joe currently works with Challenger Geomatics Ltd. in their Whitehorse office and recently took on a new corporate role as Indigenous Relations Lead. Joe served three years as Councillor for the Association of Canada Lands Surveyors, during which period he represented Council on the Offshore Committee. He is currently the Chair of their Indigenous Relations Steering Committee. Kevin Ingram has a BS in Mathematics from Mount St. Mary’s University and a Masters of Regional Planning from U. of Pennsylvania. He has 40 years of experience in software development and has been working in the GIS field since 1980. He has worked at Esri since 2001 and has been the senior technical manager for the Maritime Team for the past ten years. Marlene leads the Operational Oceanography team with Canadian Hydrographic Service Pacific Region to deliver on Ocean Protection Plan objectives. She holds an Bachelor of Science degree in Physics from Simon Fraser University and a Masters of Science degree in Physical Oceanography from the University of Washington. She also holds a Post-graduate Certificate in GIS from Penn State University and is PMI-certified project manager. Her key portfolio files include: Northern governance policy, the ongoing negotiation of Nunavut Devolution, Territorial acts legislative amendments, audits, Emergency management policy and planning, the Territorial Commissioners governments and other initiatives such as reconciliation with the Inuit. In her previous senior management career position, Ms. Kearnan was Associate Regional Director General in Manitoba with Aboriginal Affairs and Northern Development Canada. Ms Kearnan has held several senior positions in government including: Geomatics Attaché for Latin America (Foreign Affairs), National Program Manager /Geomatics for Property Rights on Aboriginal and Heritage Lands (Natural Resources Canada), Head of Land Claims and Deputy Surveyor General North. Ms. Kearnan continues to serve on the Association of Canada Lands Surveyors’ Discipline and Offshore committees. Ms. Kearnan has two professional designations as a Canada Lands Surveyor and as a Quebec Land Surveyor. Ms. Kearnan attended Laval University where she obtained a Bachelors Degree in Applied Sciences. In addition she completed her Masters coursework in Ethics at l’Université du Québec à Chicoutimi. Prior to joining the federal civil service in 1998, Ms. Kearnan owned and operated a land survey firm in Quebec. Ms. Kearnan is trilingual, English, French and Spanish. Kelvin (Kel) Kopeck spent his early years growing up on a small farm in BC’s southern interior. Camping, fishing, and hunting were always on the menu. When his father, a BC Hydro carpenter, was transferred to Vancouver Island in 1976, Kel began his west coast “training”. After completed his physics and mathematics degree at the University of Victoria in 1995 he spent some time on a contract in the mining industry. In 1997 he joined Terra Surveys (to become Terra Remote Sensing in 1999) as a marine hydrographic and geophysical surveyor. As a medium size company, Kel has had the luxury of being involved in hundreds of marine projects through estimating, client liaison and planning, data collection and processing, to chart production and reporting. Although involved in managing all types of challenging marine projects Kel has a particular interest in sonar imaging, spending much of his time collecting and processing side scan and sector scan sonar data….when he’s not fishing! Hydrographic Specialist and Site Engineering Manager. Pim comes to RESON from his role as multibeam specialist at the Geological Survey of Canada (GSC), after previously attending graduate school at the University of New Brunswick, where he studied under the renowned multibeam system expert, Dr. John Hughes Clarke. Prior to his position at GSC, he worked for various companies and government institutions, including C&C Technolgies; Fugro Survey and Van Oord, as well as serving as liaison between the University of New Brunswick’s Ocean Mapping Group and the GSC. Pim has extensive knowledge of hydrographic processes and a wide range of programming skills, the latter of which have resulted in custom processing software and an improved understanding of software design. Shelly Leighton has spent a number of years working in the offshore oil and gas industry as well as on heavy civil projects in Newfoundland. She has worked as offshore surveyor, data processor and project manager for construction support projects worldwide. Shelly has a Master’s in Oil and Gas Engineering from Memorial University. She started her career upon graduation from the University of New Brunswick in 2007 with a Bachelor of Science and Engineering in Geodesy and Geomatics. Shelly is currently an Instructor with the School of Ocean Technology at the Marine Institute at St. John's NL. She teaches in the Ocean Mapping Program, an IHO Cat B program. Jeff Lower is the Executive Vice President of IIC Technologies. He has 23+ years of geospatial experience, managing programs for multiple federal agencies. His recent work includes international bathymetric LiDAR projects in Canada and Panama. Jeff received a Bachelor of Science and Master of Science degree in Geography from the University of Florida. At the beginning of his career, he was also an adjunct faculty member at the University of Florida, teaching courses in GIS and advanced cartography. He is a licensed photogrammetric surveyor in Oregon, and Virginia. Dr. José M'Bala graduated in Geography from the University of Ottawa, after a Master's Degree in Land use planning and regional development from the Université Laval. He also holds a Bachelor's Degree in Land Surveying as an Ingénieur Technicien Géomètre-Tographe from the Institut du Bâtiment et des Travaux Publics, Kinshasa, DR Congo. He is a Canada Lands Surveyor (CLS), and works for the Surveyor General (NRCan) in Ottawa, as a Geomatics policy and planning advisor. Louis is with Canadian Hydrographic Service since 1999. Over the years he has been involved many of the activities under CHS mandate. With the New Year, Louis accepted the position of Director Hydrospatial Services and Support where he will join the team of Ottawa Office. Louis was the Vice-Chair of Tides and Currents Working Group of International Hydrographic Organisation for the last couple of years and he is now Canada Representative on the Hydrographic Services and Standards Committee of IHO, who overlooks the full suite of present and future standards related to hydrography. LT Damian Manda is currently serving as the Operations Officer on NOAA Ship Fairweather, where he directs hydrographic survey operations and data processing. His academic background includes a Master's Degree in Ocean Engineering from the University of New Hampshire, where he developed algorithms for the integration of autonomous surface vehicles into surveying, and a Bachelors in Electrical and Computer Engineering from the University of Colorado. I joined the Faculty of Law in 1985 and was promoted to professor in 2001. My teaching areas include public international law, international trade law, international ocean and environmental law, and private international law (conflicts of law). I taught Canadian constitutional law for many years and also taught Canadian environmental law and comparative Asian law. I have a cross-appointment with the Department of Geography and am an Associate of the Centre for Asia-Pacific Initiatives. I have been a visiting professor at institutions in Thailand, Sweden, the Netherlands and Canada. I have over 100 publications in the areas of ocean law and policy, international trade law and comparative constitutional law. Since 2000, I have been the editor-in-chief of Ocean Development and International Law: The Journal of Marine Affairs. Patrick McNeill is a current undergraduate student at the University of New Brunswick in the Department of Geodesy and Geomatics Engineering. He has been involved with the Ocean Mapping Group since last spring as a research assistant. This has included work on multiple projects in Southern New Brunswick. Additionally, as part of a NSERC USRA grant, last summer he spent five weeks aboard the CCGS Amundsen performing hydrographic survey operations in Canada's Eastern Arctic. David Neff began his career in the marine construction industry in 2003. He was quickly drawn to the field of Hydrography and has focused his career on learning the trade. He is focused on developing and implementing efficient hydrographic technologies to increase quality, timeliness, and effectiveness of marine survey products. Harold Orlinsky is the General Manager for HYPACK. Harold is responsible for the operations for the company, working closely with the sales, support and engineering teams. Working in the field of hydrography for more than 20 years, Harold’s expertise is in sidescan imaging. Harold holds an engineering degree from the University of Rochester and an MBA from the University of Maryland. Andrew Orthmann manages NOAA charting work for TerraSond in Palmer, Alaska. He has 18 years of experience in the field of hydrographic survey, including nine years for Fugro Pelagos. He holds a B.S. in Geography (2000) from the University of Alaska Fairbanks and is a NSPS-THSOA Certified Hydrographer (#225). Dr. Christopher Parrish is an Associate Professor of Geomatics and the Eric H.I. and Janice Hoffman Faculty Scholar in the School of Civil and Construction Engineering at Oregon State University. His research focuses on full-waveform lidar, topographic-bathymetric lidar, hyperspectral imagery, uncertainty modeling, and unmanned aircraft systems (UAS) for coastal applications. He holds a Ph.D. in Civil Engineering with an emphasis in Geospatial Information Engineering from the University of Wisconsin-Madison, an M.S. in Civil and Coastal Engineering with an emphasis in Geomatics from the University of Florida, and a B.S. in Physics from Bates College. Stephen Parsons has worked for the Canadian Hydrographic Service (CHS) for 25 years, currently as an Engineering Projects Supervisor. He is a graduate of the University of New Brunswick where he obtained his B.ScE and M.Sc.E. from the department of Geodesy and Geomatics Engineering and is a registered Professional Engineer in the province of Nova Scotia. His past interests and research have involved early seamless vertical datum model developments and using GPS and GNSS for the measurements of tide in Canada. Over the last 7 year he has been increasingly involved as CHS Technical Authority on bathymetric Lidar/MBES projects..
Eric originally trained as a scientist (Biology PhD), but his main career was spent as a technology entrepreneur, most notably as the founder and president of Mitra, which in the 90's helped create and implement international standards for medical imaging. Upon the sale of Mitra in 2002, Eric created the B.C. based Tula Foundation, which for the last decade has had the Hakai Institute as one of its core programs. Rafael Ponce graduated from the Mexican Naval Academy, served 25 years in the Mexican Navy and retired as a captain. He holds an M.S. from the University of Southern Mississippi and is a Category A hydrographer. Ponce was the deputy director of the Mexican Hydrographic Office. He has worked for Esri since 2007 and is the company’s global maritime consultant. Alison is internationally recognised for her experimental research on dynamic modelling and control of underwater vehicles. Dr. Proctor joined OFG in 2015 as an AUV Pilot and AUV control systems engineer, and has run a number of offshore projects for the company including OFGs collaboration with the GEBCO-NF Alumni Team in the Shell Ocean Discovery XPRIZE Round 1 Readiness Test. Prior to joining OFG, she worked at the University of Victoria as Chief Underwater Vehicle Engineer. During her tenure, she was the principal engineer for the Bluefin 12 AUV, designing and implemented various algorithms for the vehicle. Alison has led several AUV missions for Parks Canada, mapping the seafloor in the Canadian Arctic and Haida Gwai. Dr. Proctor is a certified operator of a number of ROVs and AUVs including the Saab-SeaEye Falcon, Bluefin-12, ISE Explorer 3000, WHOI REMUS 6000, OceanServer IVER and the Kongsberg Hugin. Alison has a Bachelor’s degree in Aerospace Engineering from Embry Riddle Aeronautical University, a Master’s degree in Aerospace Engineering from the Georgia Institute of Technology, and earned her Ph.D. in Mechanical Engineering from the University of Victoria. LCDR Adam Reed has served in NOAA Corps since 2008, sailing aboard NOAA Ship Rainier, NOAA Ship Fairweather, and NOAA Ship Ferdinand R. Hassler. Currently he works at NOAA's Office of Coast Survey's Integrated Ocean and Coastal Mapping Program. Sam graduated from the University of New Hampshire in 2015 with his BS in Electrical Engineering. Currently he is working on his MS in Electrical Engineering at University of New Hampshire. For his Masters research, Sam is working on nautical chart aware autonomous surface vehicles for the Center for Coastal and Ocean Mapping. John Riding, founder and senior partner at MARICO Marine, a Southampton based firm specialising in practical management of marine risk. 12 years at sea, Masters Degree qualified. He had a key role at the UK MCA, developing IMO's risk-based approach to regulation (Formal Safety Assessment), preceded by years of casualty investigation. He applies risk based technology solutions to marine systems worldwide and is behind the development of the recent Hydrographic Risk Methodology, endorsed by the IHO. MARICO has over 22 years' experience working with Governments, port and harbour authorities and port companies worldwide. John's currently based in Marico’s NZ office. Val completed his Master’s Degree in Ocean Engineering from the Center for Coastal and Ocean Mapping at the University of New Hampshire in 2008. His thesis involved development of an underwater acoustic positioning system for whales that had been tagged with an acoustic recording sensor package. Val continues to direct research and engineering involving autonomous surface and underwater vehicles, sensor development, and sonar signal processing within the Center. Susan is has worked extensively in the field of Hydrography for the Naval Oceanographic Office. Experiencing the world-wide travel that the shipboard survey work affords her, she has seen seven continents and close to 3000 days at sea in the past 30 years. In addition to hydrographic survey, she has participated in many shipboard sonar system sea acceptance tests, has written much of the hydrographic survey training and process documentation as well as leading process improvement and data analysis projects for NAVOCEANO. Nicolas SEUBE graduated in 1992 from Paris University in 1992 with a PhD in applied mathematics. He was Professor and coordinator of the French category A program in Ocean Mapping at the ENSTA Bretagne (France) from 1994 to 2004. Since 2014 he acts as the scientific director of the CIDCO in Rimouski, Qc, Canada. His present research interest includes mobile mapping systems advanced calibration and error analysis, survey data error detection and estimation for both LiDAR and multibeam system. CDR Yun-ta Teng is Chief of Underwater Environment Section which belongs to Naval Meteorological and Oceanographic Office, R.O.C. His Master's degree in Ocean Mapping from UNB in 2011. Currently, he focuses on the application of autonomous unmanned vehicle for undersea survey. Jean-Claude is the Executive Director, Registrar and Secretary Treasurer of the Association of Canada Lands Surveyors since 1999 and Registrar for Canadian Board of Examiners for Professional Surveyors (CBEPS) since 2006. Registered as a arpenteur-géomètre (Québec Land Surveyor) in 1982 and Canada Lands Surveyor in 1994. He obtained his Masters Degree in Business Administration in 2002. Before occupying his present positions, J.C. practiced as a land surveyor in the private industry for 16 years. He received Recognition Awards from Natural Resources Canada in 2011 and in 2017 for his contribution to modernizing the Canada Lands Surveys System. I've worked with NOAA's Office of Coast Survey since 2003 as cartographer, physical scientist, management analyst and tech. advisor focusing on ocean mapping and multi-mission/multi-purpose focused projects. Tim is a research scientist with the Applied Geomatics Research Group at Nova Scotia Community College. He has been with the college for 25 years, with over 15 as a research scientist. His research focus is mapping and modeling processes in the coastal zone. In 2017 he received the Geomatics Association of Nova Scotia Award of Distinction, in 2010 the Gulf of Maine Council Visionary Award. He obtained his PhD from Dalhousie University in 2006, MSc from Acadia in 1996, an Advanced Diploma in Remote Sensing from the College of Geographic Sciences in 1988, BSc from UNB in 1987. Dave Wells: is Professor Emeritus in the Department of Geodesy and Geomatics Engineering at the University of New Brunswick; Contract Professor in the Division of Marine Science at the University of Southern Mississippi. Since 1999, at USM Dave annually teaches courses in Applied Bathymetry, Kinematic Positioning, and Applied Acoustics. is affiliated with the Center for Coastal and Ocean Mapping at the University of New Hampshire. President, HydroMetrica Limited (which has organized 75 Multibeam Sonar courses since 1994) 2017 Inducted, Hydrographer Hall of Fame, The Hydrographic Society of America, Galveston 2013 Recipient, Portuguese Navy Cross, 1st Class from Navy Chief of Staff and Minister of Defense 2001 Recipient, US Navy Superior Public Service Award 1986-1998 President, Canadian GPS Associates, published Guide to GPS Positioning (sold 12,500 copies) 1965-1980 Scientific Officer & Research Scientist, Bedford Institute of Oceanography, Dartmouth, NS Since 2011, with permission and cooperation from the International Hydrographic Bureau (now International Hydrographic Secretariat), Dave lobbied for, organized and personally funded establishment of a Digital Repository for the International Hydrographic Review. This involves digital capture of the full collection of the International Hydrographic Review, published since 1923, representing the continuous “corporate record” of international hydrographic methods and technological evolution. The collection is available as a no-charge digital journal, using the Open Journal System. All issues from 1963 are now available, and the full set from 1923 will be available by late 2018 at https://journals.lib.unb.ca/index.php/ihr/index 2018-06-29 will be Dave’s 79th birthday. He returned to downhill skiing in January 2014, after a 15-year absence. During 40 days skiing in Idaho over the past 4 years he has not fallen once. 45 years ago, he was a Ski Patroller. Ms. Westington has worked for NOAA's Office of Coast Survey (OCS) since 1999. During her tenure, she has worked on a diverse set of issues ranging from establishing the U.S. digital maritime limits and boundaries, expanding and improving NOAA’s Historical Map and Chart Collection, and data management to support coastal and marine nowcast/forecast modeling. Prior to joining OCS, she worked offshore and maintained the navigation equipment and related data collection for seismic survey operations. She has a B.S. degree in geology from Virginia Tech and an M.S. degree in GIS management from Salisbury University. Dr. Neil Weston has worked for NOAA for 26+ years and is currently the Technical Director for the Office of Coast Survey, NOAA. He is responsible for overseeing the scientific research and technological operations of the agency and is currently developing a science portfolio that focuses on hydrographic surveying technologies, remote sensing, Earth observing systems, and global integration. He enjoys working on significant challenges and collaborating with colleagues on Federal, national and international levels. Neil also holds positions as a Science/Technical Advisor for the U.S. State Department and the United Nations. He received his doctorate in physics and biomedical engineering. Matthew Wilson is a Marketing and Sales Manager for Quality Positioning Services (QPS). He received an MS degree in Ocean Mapping (UNH, USA) in 2012, and an MBA degree (Penn State, USA) in 2016. Previously, he was a NOAA Physical Scientist, and prior to that a U.S. Navy Officer. Eric Younkin is a physical scientist with the Office of Coast Survey, National Oceanic and Atmospheric Administration (NOAA). He works at the Hydrographic Systems and Technology Branch in Silver Spring, MD, and is responsible for the development, testing and support of new hydrographic technology for NOAA field units and offices. Eric has a B.S. in Electrical and Computer Engineering Technology from Western Carolina University and has worked with NOAA since 2010, including 6 years as a NOAA commissioned officer.